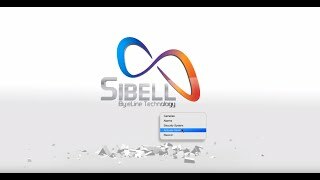 If you’re looking for a powerful, long-range IP bullet camera then you should check out our latest Sibell series 4MP bullet camera. This is a fantastic camera all around and would be capable in many different applications but, one we like to stress the most is its ability as a license plate camera. With a motorized zoom lens that goes from 9-22mm, you’ll be able to go from a wide angle to almost 2½ times with an easy adjustment from your NVR, PC, tablet or smartphone! No more need to go outside in all sorts of crazy weather to manually adjust the zoom! 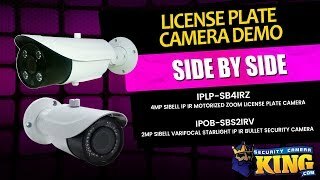 Also adding to the long range capabilities is the built-in IR that gives you the ability to see in low light and total darkness as far as 328 feet from the camera. With the IP66 rating, you can be confident that this camera has been carefully tested to ensure that it can be used both inside and out in a variety of climates. You can easily pair this with other ONVIF compliant products and if you’re not sure, our capable sales staff can help you choose from the wide assortment available throughout our website. Conveniently plug an SD card into the onboard slot and record up to 128GB of footage that can be easily shared. These are just some of features that this camera has to offer but don’t forget about things like email alerts for events such as motion detection, etc. 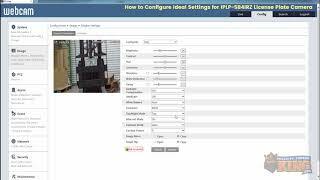 Our helpful technical support staff can assist you with any configurations necessary for your specific application. Connect a microphone and you have a double layer of protection that lets you hear AND see what’s going on (laws vary from state to state in reference to recording audio). Once plugged in to an NVR, use of our viewing software for remote viewing with smart phones, tablets and personal computers is made possible! This camera is housed in a sleek white housing and can be mounted on a wall or ceiling with a compatible junction box or wall mount. It can be powered with either a standard 12 volt DC power supply or PoE (Power Over Ethernet). This includes a two year warranty, FREE US based technical support and even free remote monitoring software.